The Solar market is rapidly growing worldwide, including in Canada. Not only the solar system costs continue to fall, there are also more efficient products showing up in the market. As a result, all the grid-tie residential and commercial owners, off-grid users could benefit more from green solar energy. 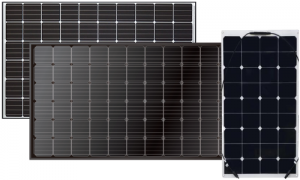 We stock the major components of the solar system, including solar modules, inverters, and mounting products. This helps our clients to access them easily, timely and cost effectively. We offer EPC professional services, solar PV solutions with the most competitive price to our clients. Please contact us for details. Solar PV is now a mature technology, and widespread adoption is happening because the price has fallen so dramatically. The cost per watt has fallen from $75 to $0.75 getween 1980 and 2014! The efficiency of solar PV increases in colder temperatures and is particularly well-suited for Canada’s climate. Over the year, a one-kW PV system located in Vancouver will generate approximately 1,000 kWh. The location of your home and the local climate will play into where you place and how you install your PV system. Wind speeds, heavy snow loads, and saltwater can all affect a solar array. Understanding how those inputs affect performance will determine the types of mounts or how the arrays are angled. Although southern exposure increases the effectiveness of a residential solar power system, your home may still work for solar power without having south facing exposure. To further analyze the viability of solar on your property, contact us. 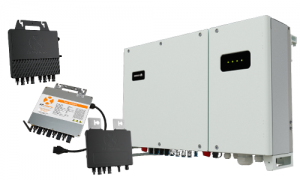 We are a multi-million watts distributor with the latest solar products directly from manufacturers. 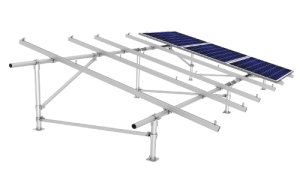 We sell some of the top brands of photovoltaic panels, racking, inverters and other components required for complete PV solar systems.